Just days after seeing three reserves leave the program via the transfer portal, the Florida Gators have added a second commitment for the Class of 2019 who will be able to enroll and potentially suit up right away. 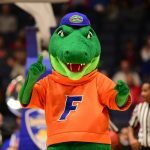 Point guard Ques Glover (Knoxville, TN) committed to Florida on Monday, announcing his decision via his Twitter account. “I want to thank Coach [Mike] White and Coach [Al] Pinkins for allowing me to fulfill my dream of playing at the next level. With that being said, I am extremely blessed and excited to announce that I will be furthering my academic and athletic career at The University of Florida. #GoGators,” he wrote. Pinkins, a former assistant at Tennessee, was familiar with Glover not only due to his proximity but because the Volunteers recruited and gained a commitment from his teammate, three-star power forward Drew Pember. Glover was not highly recruited, though he did hold 20 Division I scholarship offers, mostly from programs in one-bid conferences, though many of those teams are at the top of their respective leagues. That does not mean he failed to achieve during his time at Bearden High School. Glover led Bearden over Memphis East to win the Tennessee Class AAA state championship in March. He scored 24 points in the championship, averaged 19 for the tournament and posted about 21 points per game this season, giving him more than 2,000 points in his high school career. Glover does not have a recruiting profile at most services, though local media outlets list him at 6 foot. 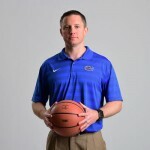 With his addition, the Gators have two open scholarships remaining for next season, which means White may well be in the transfer market — both graduate and undergraduate — over the next few months. Glover, Florida’s second commitment in five days, joins a 2019 recruiting class ranked No. 6 in the nation and No. 2 in the SEC, according to the 247Sports Composite team rankings. With the graduation of three key starters along with the transfers of redshirt junior forward Keith Stone (No. 82 overall in 2015) and sophomore guards Deaundrae Ballard (No. 101 overall in 2017) and Mike Okauru (No. 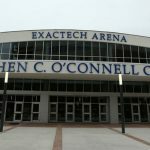 260 overall in 2017), the Gators have just six scholarship players returning for 2019-20. I want to thank Al Pinkins for his great work with Hayes. The transformation from the beginning of the season to the end was incredible, especially with regards to his offense. I hope Al Pinkins stays around for several years, he will make a difference with our bigs!!! I hate that we lost who we lost. I don’t care who we signed: those guys are 3 good basketball players and two of them are sophomores. I would like to know what happened. . .what went wrong.